You could choose Michael E. Bryant because he has a great website. You could choose him because he has the nicest support staff in Toledo. You could choose Michael E. Bryant because the office is conveniently located. You could choose Michael E. Bryant because he is less expensive than other attorneys you’ve talked to. But those aren’t the reasons you SHOULD choose Michael E. Bryant to be your Toledo Family Law attorney. You should choose Michael E. Bryant because you can talk to him. If you can’t talk to your lawyer because you’re intimidated or you simply can’t get past the receptionist, how can he help you get what you want? Michael E. Bryant wants every one of his clients to feel comfortable talking to him. He doesn’t answer every phone call personally, but he will call you back. Michael E. Bryant will listen to what you have to say, and have a discussion about what we can do and where we go from here. You should choose Michael E. Bryant because you can understand him. We’ve met plenty of attorneys who like to impress their clients with big words and fancy speech. To be honest, sometimes he has to use those words when talking to the Court or another attorney. But when you and he are sitting down in his office, Michael E. Bryant’s going to explain things to you in words you understand. And if you don’t understand the first time, he will re-explain it using different words until you do. You should choose Michael E. Bryant because you can trust him. It’s true; some attorneys will promise a client anything they want to get that client to sign the fee agreement and pay the retainer. Michael E. Bryant has never been that guy, and he could never be that guy. 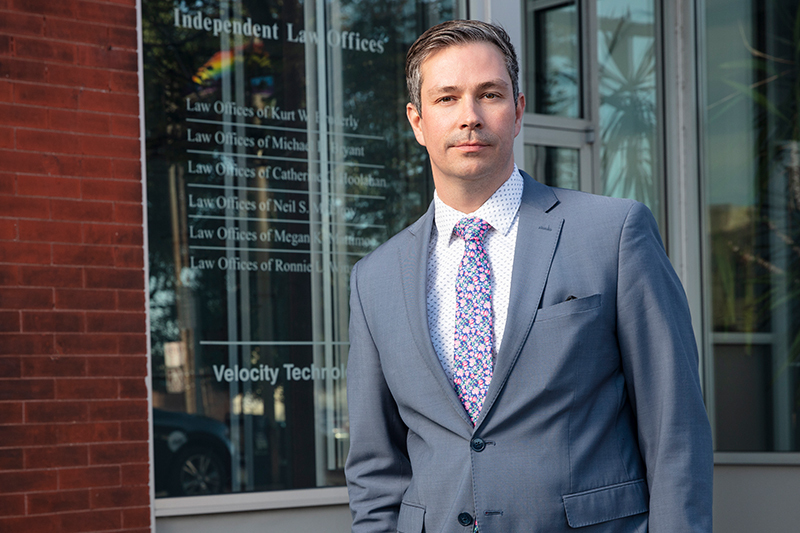 Michael E. Bryant knows that he’s lost clients because they’ve been told that he couldn’t get them the results they expected. Michael E. Bryant is going to be 100% honest with you at all times. You will know where you stand with the court, with your case and with Michael E. Bryant every step of the way. You should choose Michael E. Bryant because he can get you the results you want. Michael E. Bryant’s been practicing since 2008. That isn’t near as long as a lot of attorneys you could hire. However, it’s more than enough time to understand the best way to get from “point A” to “point B” in your case. Some older attorneys do things because that’s the way they’ve always done them. Michael E. Bryant does things because it’s in your best interest. He keeps up to date on technology, on new case law, and on current events. Regardless if you walk in the door with a problem he’s seen 100 times or something totally new, Michael E. Bryant knows how to get it started and get it done. But let’s be honest. You’re going to call Michael E. Bryant because you like his website. You’re going to make an appointment because his secretary really is the nicest in Toledo. You’re going to keep that appointment because you don’t have to pay for parking and take the elevator to the millionth floor. And you’re going to pay the retainer because it’s a little less than the guy you talked to yesterday. So let’s get started. Call 419-243-3922 to schedule your appointment.